Last week, on a grandparents day out, we took our little granddaughter to a huge lake with a beach and supervised swimming area. Once we’d found a suitable shady area to set up camp, laid out her blanket so she had a place to crawl, she sat motionless – almost mesmerised as she surveyed all before her. Watching her so lost in her own thoughts I wondered what she could be dreaming about. Is she looking at the breathtaking scenery or dreaming about playing in the lake? 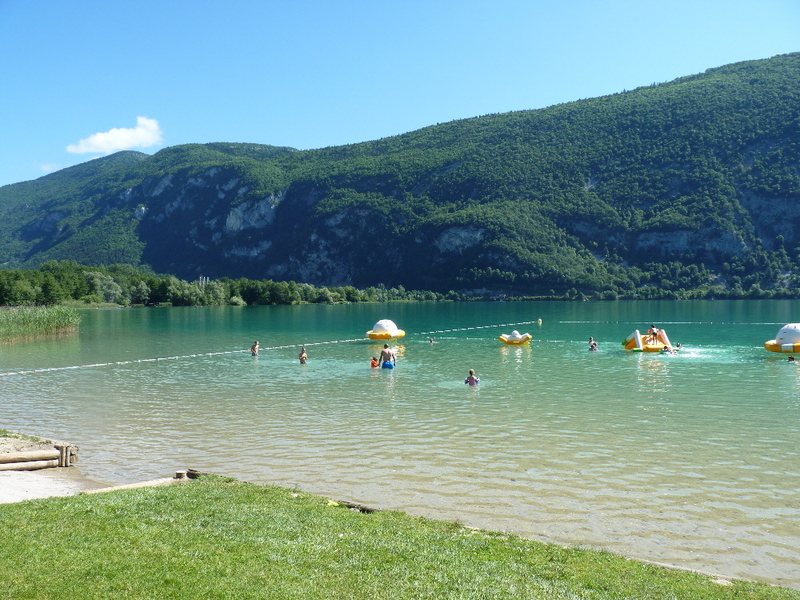 Could it be the breathtaking scenery or the children swimming and playing on inflatable toys on the lake, squealing with delight as they splashed each other. Or perhaps she felt sorry for the little boy who stood at the water’s edge crying because he was too scared to go in the water. Maybe she wanted to join them, but the look on her face was that of far deeper concentration. How I wished I could ask her to share her thoughts and dreams. It’s that kind of expression on a child’s face that makes me long for telepathy, even just a quick insight into what they’re thinking. Is it the colours all around them that are suddenly so different from those at home? The sounds? The smells? I’d love to be reminded of that sense of awe and breathe in such new sights and sounds for the first time. I love the different expressions and learning to interpret them. Some are distance when she is deep in thought, some are defiant and others are mischievious and happy. Hi Sally, I’d love to know what she is thinking. One day she will be able to tell me! You may not have known what your granddaughter was thinking, but I know what you were thinking—how priceless this moment is. Spot on chubby. I treasure moments such as these. Isn’t it great to share times like these with our grandchildren? 😉 Lovely dreamy photo. Priceless. Wish we could parcel them up! I love the lakes, they are such a contrast to the seaside where we live. I love this entry, and I could just imagine your granddaughter sitting there, taking it all in – the wonderment in a child’s mind! Thinking back to my childhood I remember being captivated by this sort of scene, everything seemed to be so magical back then, and needed exploring. Not sure if a baby would have those sort of thoughts but it definitely sounds like she was taking it all in. How lovely to have the privilege of seeing her experience her world. At 14 months old I’m not really sure what she can understand. I suppose at the moment it’s just images and impressions. She was def captivated by the water and the children playing. Next year she will be in there swimming herself. What a beautiful lake and theme for the dreaming. I would like to enjoy there with my kids. the lake is clear and pure and I’m sure you would love it! Such a beautiful scene you could almost be thinking of nothing and be happy. I know what you mean though, we often wonder what our kids are thinking…. Can you tell me where is this paradise? What an inviting lake to take a luxurious swim in! It certainly would inspire dreaming in me, too.